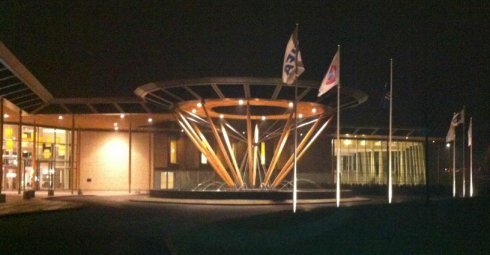 St Georges Park, the home of the English Football Association, and the St Georges Park Hilton Hotel, is situated just outside Burton upon Trent and conveniently happens to be right on our doorstep. Because it's just a 10minute drive from our premises we're happy to pass on the savings we make on delivery costs and offer preferential hire rates for events being held at this fantastic venue set in the Staffordshire countryside. To discuss your requirements for entertainment hire at St Georges Park please get in touch via enquiries@lichfieldentertainments.com or call on 01283 792974.